As Minnesotans, we really enjoy our time outdoors. The peak months for enjoying the weather go by so quickly. Not to mention, nature also has fantastic health benefits such as lowering blood pressure, decreased risk of depression and anxiety, and boosts your immune system. So why not bring a little of the outdoors in? Consider a few of these stylish ways to incorporate nature in the design of your custom home. LARGE WINDOWS – An abundance of windows is excellent for letting in natural light. Any room of the house can have large windows, but a great way to incorporate this home feature is by adding a sunroom. Take in the views of your yard and relax, no matter the season. SLIDING WALLS – This feature is great for homes that have a lot of privacy, extraordinary views and when the weather is warm. Sliding walls can be made mostly of glass and typically separates living areas and patios. This allows for easy access to your pool or yard too! SCREENED PORCH – An enclosed porch would be excellent for watching the trees bud in the spring, having iced tea on a hot summer afternoon, or perhaps some coffee on a crisp fall morning. HOUSEPLANTS – This is something that is easy for any home to have. Don’t worry if you don’t have finese for gardening; ask an expert at your local nursery for easy to care for plants. Not only will your house be a little greener, your air will be a little cleaner! 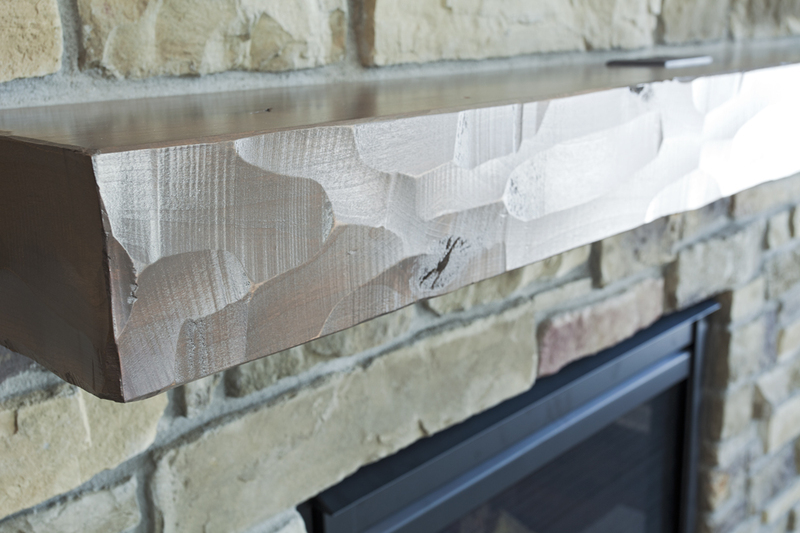 RUGGED EDGES – Instead of having smooth edges on your granite/quartz countertop or fireplace mantel, leave them a little rougher to imitate natural stone. SKYLIGHTS – Let in even more natural light with a skylight in your bedroom or even your bathroom. You could even make it big enough to star gaze from the comfort of your bed. SEE-THROUGH FIREPLACE – Instead of sticking your fireplace in a corner, strategically place it in a wall between your living room and porch or patio. You can unwind with the roar of the fire indoors or out! The glass will allow you to have a little extra view. If you need a simpler way to incorporate the outdoors, use a color palette from nature, include scenic pictures from your vacations, or use props such as coral and seashells. What is your favorite way to make your home a haven for rest and relaxation? Check out our photo gallery for inspiration!